By AES & Irish Horse Board Approved stallion Vechta, who is by the famous world class sire Voltaire..
echta's extended pedigree carries 3 crosses to influential TB stallions Lucky Boy, Cottage Son and Furioso and top level performance sports horses, these performers and progeny include the great For Pleasure, Heisman, Faust Z and Maximillian Voltucky, Champion young stallion at the SHB (GB) stallion grading. Billy Congo is by the AES & Irish Horse Board Approved stallion Vechta, who himself is by the famous sire Voltaire. Billy Congo's young stock are now showing their potential! 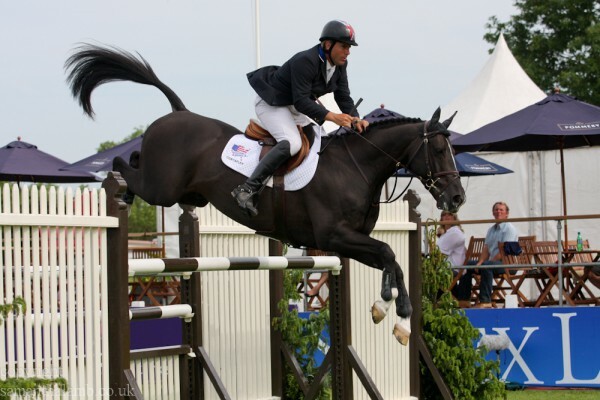 In 2011 Billy Umbongo was joint winner of the Four Year Old Championships at the Addington, the Following year he jumped clear everyday to pick up the bonus for the british bred 5yr olds. 2014 has seen Billy Umbongo go on his first sunshine tour to spain and jumped numerous clear rounds in the 7yr old classes. Billy Cool is a Black mare by Billy Congo, as a six year old she was clear everyday in the 6yr old championship..
Billy Congo is by the AES & Irish Horse Board Approved stallion Vechta, who is by the famous world class sire Voltaire.